Karl currently focuses his practice in the areas of Administrative and Health law (certificate of need, Medicare/Medicaid, facility and practitioner licensure and regulation), and commercial litigation. He also has past experience in Environmental Law, Employment Law, Class Actions and Mass-Torts, Multi-District Litigation, Anti-Trust, and Commercial Litigation. Karl is licensed to practice law before all Florida State Courts, and the Federal District Courts for the Middle and Northern Districts of Florida. Karl actively practices before these courts and the Division of Administrative Hearings. 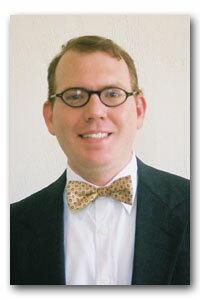 He is a member of the Health Law, Environmental and Land Use Law, and Administrative Law Sections of the Florida Bar. Karl joined the firm, then known as Watkins & Caleen, P.A., in 2002 after his admission to the Bar. Karl was an attorney with the firm until 2009 when he joined the State of Florida, Agency for Persons with Disabilities as a senior attorney. Karl returned to the firm as its president in 2010. Karl graduated in 2002 with his law degree (J.D.) and a Certificate in Environmental and Natural Resources Law from the Florida State University College of Law. Karl was among the first recipients of the Certificate, recognizing his concentrated study in Environmental Law. Karl made the dean's list, graduated with two book awards and was inducted as a member of Phi Delta Phi (Law Honor Society) and Phi Alpha Delta (Law Society). During law school Karl clerked on a contract basis for Slepin & Slepin in Tallahassee, Florida; Levin, Papantonio, Thomas, Mitchell, Echsner & Proctor in Pensacola, Florida; Acuff & Acuff in Cookeville, Tennessee; and Neely, Green, Fargarson, Brooke & Summers in Memphis, Tennessee. In 1992 Karl received his bachelor's degree (B.A.) in British History from the University of the South (Sewanee) where he passed his comprehensive examinations with distinction (honors). He was a member of the Chi Psi fraternity and served as chairman of the Social Committee. If you have any comments or questions, please email us.